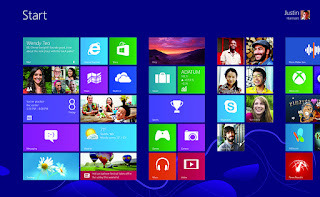 Well, Microsoft has released their Consumer Preview of Windows 8 to the world at large and one day later over 1 million people have decided to download the preview and check out Microsoft's latest offering. I plan on breaking down my thoughts into 2 different sections. Initial impressions of what Microsoft has done and how it ties into their larger ecosystem and then what I think Microsoft still needs to fix before launch or worse case scenario, fix with Service Pack 1. So lets dive into what Microsoft's newest OS has to offer. So first a little back story, for about a 3 week period I gave Windows Phone a try on an HTC Arrive with Sprint before going to the iPhone that I opened this blog with. While running Windows Phone I set up my Windows Live account that I use with my Xbox to be tied in with my Gmail, Facebook, Twitter and LinkedIn accounts. This is important as heading into the setup of Windows 8 I was asked if I wanted to sign in with my Microsoft Account (re-branded Windows Live Account) I did sign in and this gave me a much better view of how Windows 8 plays into the greater Microsoft Ecosystem. Signing in with my Microsoft Account immediately pulled my profile picture I had set in Windows Live and when I clicked into Mail, I was prompted to confirm my Gmail password and then my inbox filled in. Launching the People App pulled in my contacts from Gmail, my Twitter and Facebook feeds and showed any recent activity of my friends. The Photos App already had the photos I took on my Windows Phone loaded in from SkyDrive as well as my Facebook photos, if I were a Flickr user, those photos would have made an appearance as well. The Messaging App pulled in my currently available Facebook Friends and MSN Messenger friends so I could begin chatting with them as well. Finally the Xbox App pulled in my avatar, friends list, recent played games and showed my gaming stats. Now that's a big long list of services that were tied to my account and basically all they did was log me into various applications automatically, some may say no big deal, but I argue that is a very big deal. Why? It made the computer feel like mine less than 5 minutes after signing into it for the first time. My data was already on a computer that had only been up and running for a few minutes, that right there is an achievement. 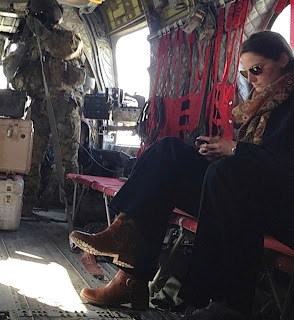 In fact, it made me realize the value of having a Windows Phone. I'm not your average consumer, but if even a few others start to make that connection, it will be big for Microsoft. It's almost as if Microsoft is going to use the opposite strategy Apple is to drive adoption. Apple sells tons of iPhones and iPods and hopes you'll buy a Mac to go with it. Microsoft is going to sell tons of Windows 8 PCs and Slates and hopes you see the value of buying a phone to go with it. So less about the ecosystem and more about the actual OS. In general, the OS is in a much more polished place than the Developer Preview that was released late last year and much more useable with a mouse and keyboard, but I'm still not convinced its as polished as it could be. The Metro interface is beautiful and intuitive and allows Windows users to see some absolutely great design in their OS. Being able to dock one Metro App to the right or left and then work on the rest of the machine is amazing. Being able to keep what basically amounts to a Windows Phone app on the left showing my Mail while working in a web browser is a great way for me to keep tabs on what's coming in or chatting with a friend is a great way to organize and get users interacting with their software. Ultimately this interface is a bold move by Microsoft, a gamble that might alienate some of the Windows power users or at the very least frustrate them. I'm still looking for where I can manually tweak the settings for wireless networks. The setting isn't where it was in Windows 7 and isn't in the Metro side of things either. That's what takes some getting used to, there are general settings in Metro and in depth settings in the desktop environment. This strikes me as the behind the scenes area that Microsoft is trying to push us all away from, much like the command line was pushed to the background and is rarely used at all by mainstream consumers today. I foresee that's where Microsoft wants to push consumers and working in the desktop will be seen as more administrative and for power users. Overall, this is a bold move and one I think will take some time for consumers and especially the enterprise business market to embrace, but I think its a great future for Microsoft that ties their cloud services together with the desktop, slate and TV through Xbox. So if you're a Windows user, or even if you're not, check out the Consumer Preview and try it out for yourself. In my next post I'll go a little more detail over the way the OS works and focus on the pain points that still exists when using a keyboard and mouse. For now though, Microsoft has presented the future of their services and its a very compelling argument for buying into what Microsoft is selling.